Finally today is coming! 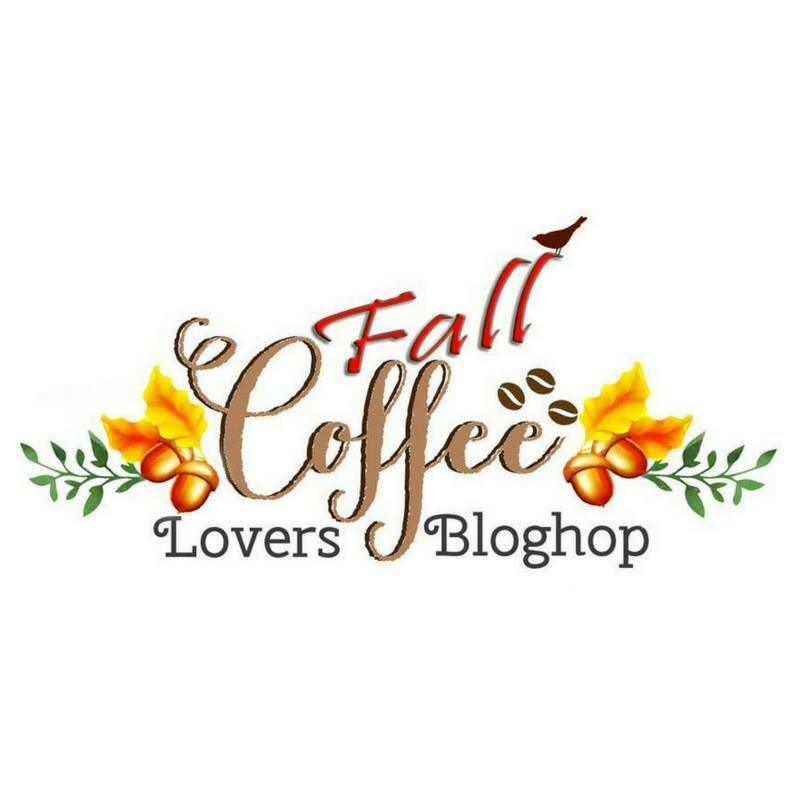 2016 Coffee Loving Cardmakers Fall blog hop has started! 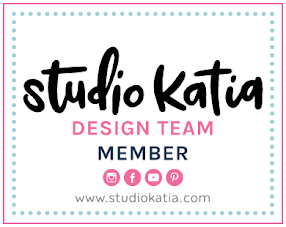 I'm so thrilled to join this season's blog hop in the start day as a guest designer of this month. Before getting to my card, check out some notice below. As always they have ton of amazing sponsors and prizes. How fun! You just add your link to HERE with newly created fall themed coffee, tea or cocoa project. 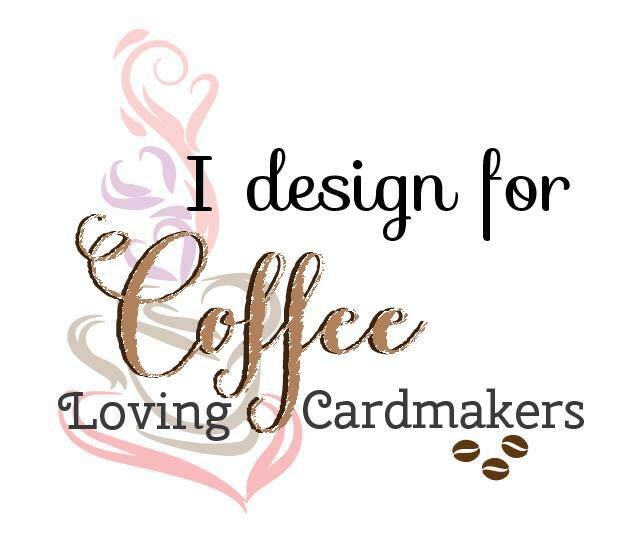 1) You can look around designer's project of this month on the Coffee loving cardmakers. They've created gorgeous fall cards to help you. And here is my project I made for today. For me, fall is my favorite season with milk tea, latte, cozy clothes and yummy foods. I expressed some of them on interactive card. Let's get started! I began with making flop card shape to the white card base using 'Die-namics flop card-circle' (MFT). At the same time, I die cut the cream color pineapple patten paper, too. I then glued them together. Using same die cut, I made sparkling circle panel with glitter paper. 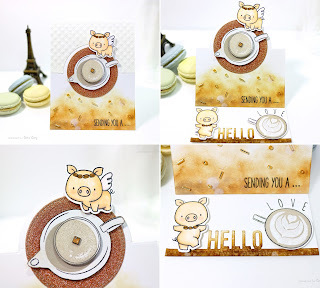 Next, I stamped tea pot and tea cup image and circle solid image from The ton on another card stock using Versafine 'Onyx black' and Mama elephant 'Brown sugar'. I then stamped milk foam on the cup with white pigment ink (Hero arts 'Unicorn') but it wasn't applied well so I drew the line using white jell pen. Stamped pigs of 'Hog heaven'(MFT) is a gift from friend of mine:) I created them as coffee fairy! I drew coffee bean wreath and necklace to them and added colors using Zig cleancolor real brush. I like how them turned out! For bottom border of inside the card, I die cut 'Die-namics Hello beautiful'(MFT) and ink blended it using distress inks (Vintage photo, Ground espresso). I then splattered a bit of water to it. 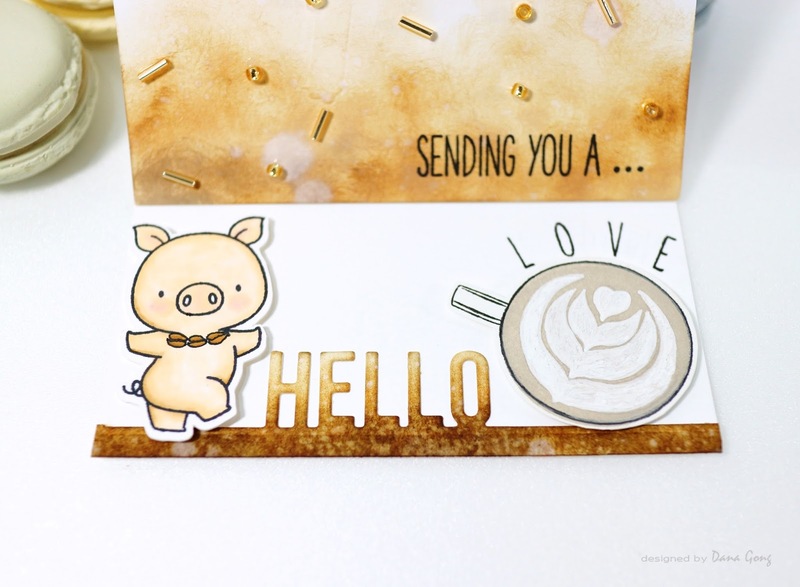 Back to the front part, I created pouring coffee look using distress ink. I ink blended with little tough touch and spritzed water for express tiny coffee bean powder and coffee oils that I normally found in the coffee brewed using french press. I embellished beads on the coffee part using Pico embellisher 'clear' and stamped sentiments from 'Hug in a mug'(The ton). To finished off, I mounted all pieces where I wanted them using double sided tape and foam tape. That's all for today. Now, it's your turn! 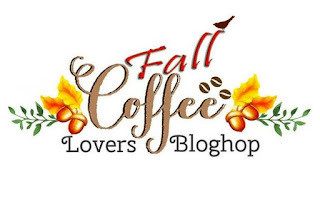 I hope find lots of your links in the Coffee loving Cardmakers blog hop page exceeding 811 entries of last summer hop. I'll be back with another card during hop days. Stay tuned! 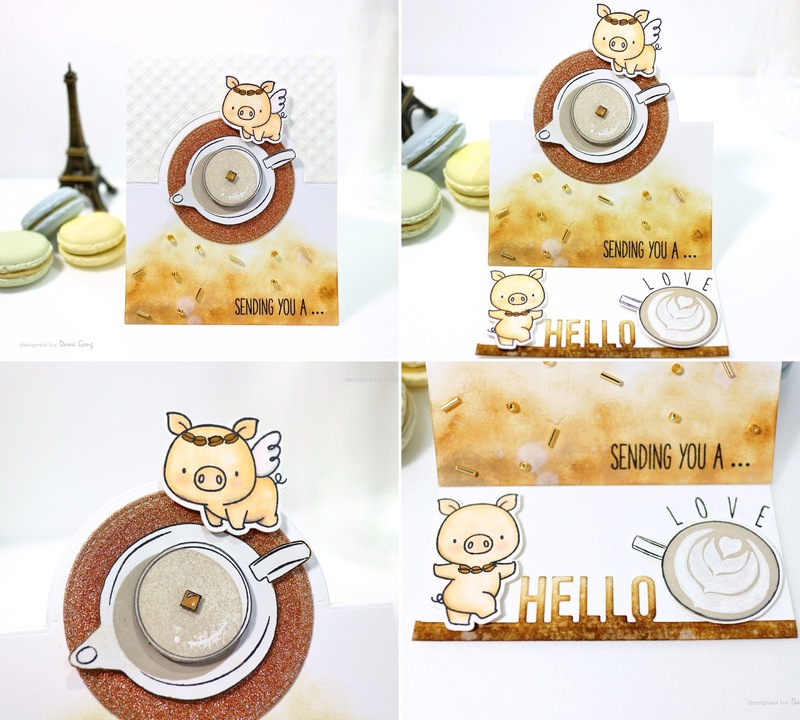 This is the cutest interactive card with a coffee theme. How FUN. Thank you so much for your love, Gaylynn! ADORABLE and so creative... I have no words, Dana! I'm a BIG fan of your work! Me again! 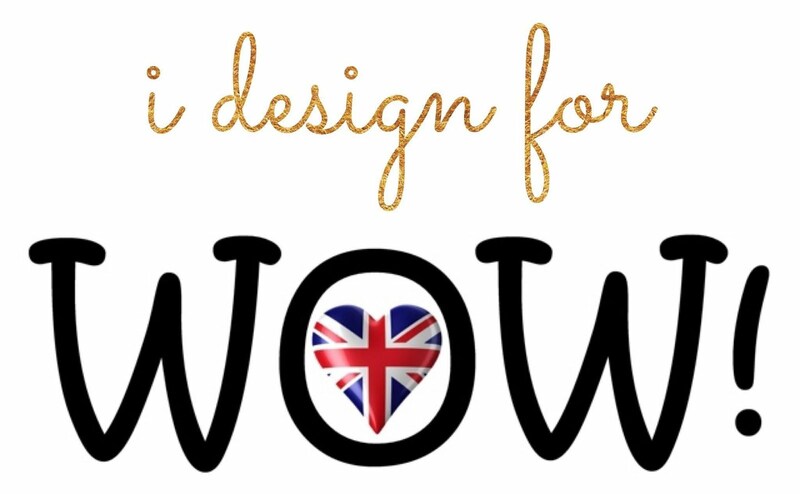 I adore your creations!! Thank you so much, Cris! So glad to hear that you love my card. Thank you so much! the level of details on this is so cool and over the top awesome, I love that piggy flying too. ( I have not seen that set before) :) tfs! Thank you so much for your support and love, Stacy! Dana.... that is just WAY TO ADORABLE and FUN!!! 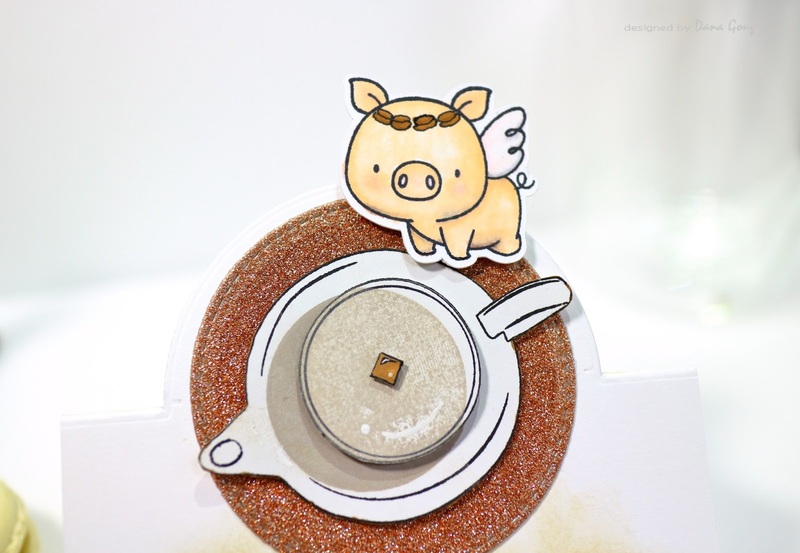 Flying pig I've heard... but coffee loving pig? This is new LOL.... :D THANKS A LATTE for the inspiration! Haha I'm so love to hear that you like those coffee loving pigs! Thank you, Helen! How fun and adorable! And so creative. Love all the details. Thank you for your love and kind words, Rebecca! DANA!!!!!! This is sooo cute and what a great idea! Such a clever design! That's so kind of you to say so, Amy!! Thank you always! That little piggy is just the cutest. Thank you for your sweet comment, Dawn! So cutie patootie! 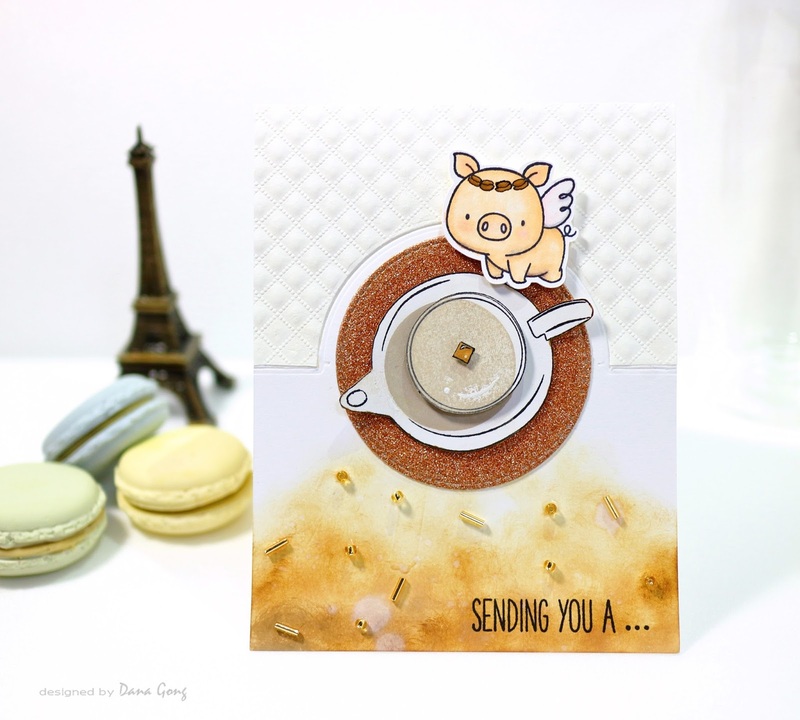 Love the piggie! Thank you for your lovely comment, Gloria!! I'm so glad hear from you, Beverley! Thank you so much! I love this fun card! The perspective of this image is gorgeous! Thank you kindly for your encouraging comment, Michele! Super fun, super sweet!! I adore it! A lovely card and awesome colouring. Heartfelt thanks for your lovely comment! sweet card--and I love macarons with coffee! So cute and I love the color palette. Aww you are so kind! Thank you so much! So glad you love my card. Thank you, Shelly! What a fun card! Beautiful colouring! Thank you so much for you LOVE, Allison! That card is so cute and so well done with that super coloring. Thanks for sharing! That's so sweet of you to say so, Verna! Thank you! Thank you so much, Kerry!! Your encouraging comment made my day!! Cutest little pig ever. Love your card. Thank you for your sweet comment, Diana! How cute is that???? Thanks for sharing. Heartfelt thank you for your love, Tonya! Your lovely comment made my day! Thank you, Nikki! Oh my, what a cutie, love your card. Your sweet comment means a lot to me. Thank you, Ann! what a great card. so super cute! I'm so glad you love my card. Thank you so much! Thank you so much, Arianna! Oh goodness, how perfectly cute!! Thank you kindly for your lovely comment, Karen!! So glad you love my card! Thank you so much, Maura! Oh my gosh! So adorable! Love those little pigs and your card is beautiful! Your sweet comment brighten up my day! Thank you, Lisa! This is very, very cute! Such an adorable idea! This card is too cute! 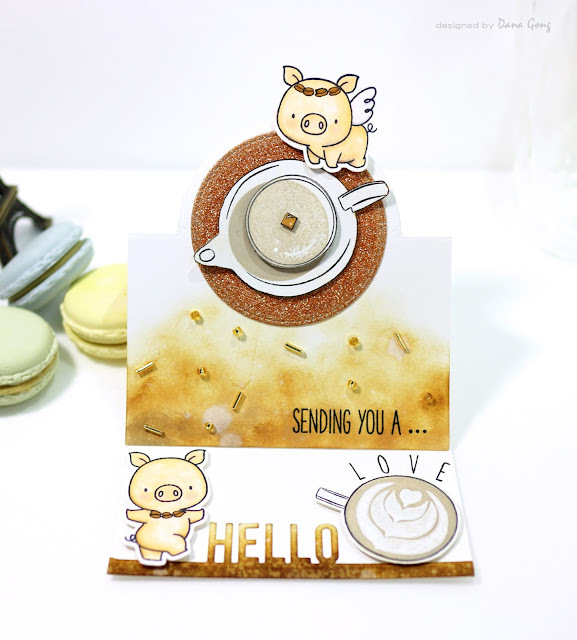 The card w/out the pigs would have been very professional looking, but the pigs really make it stand out! I love that you also added a coffee bean necklace and head ornament! What fun! Ob Barbara, I just got some ideas for my future card from your words. It would be a no-pig & other season themed card. Thank you so much for your lovely comment! Wow your card is AMazing!!! You ROCKED it! Thank you so much, Juliana! Thank you so much, Ceal! 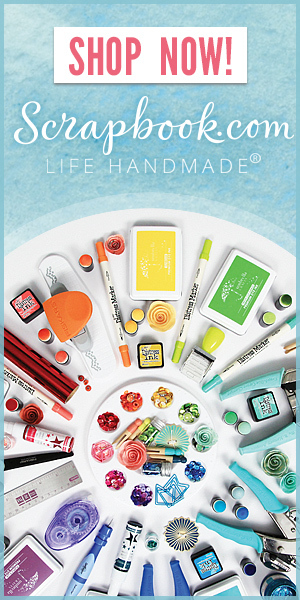 Way cute easel card! How did you get the picture to show the front and the card opened? That is really neat! I'm so glad you love my card. Thank you so much for your super sponsoring! Very fun card! Great coloring and details! Adorable card and I love the inside detail. So cute! Super cute card...I love it!